Advanced Micro Devices hopes for financial stability after years of struggles, but analysts said that a volatile PC market could derail the chip designer’s progress. Keeping with its projection earlier this year, AMD’s CEO Rory Read said Thursday that the company would deliver a profit in the third fiscal quarter, which will be reported in September. The company is making progress as part of a “three-step strategy to restructure, accelerate and ultimately transform AMD for growth,” Read said in a conference call about earnings. The return to profitability involves a mix of cost-cutting measures, shipments of new chips and less reliance on PCs, a market that has been slowing. As in past quarters, a majority of third-quarter revenue will be from PC chips, but the company is expecting a larger mix of revenue from chips for non-PC products such as gaming consoles. AMD’s chips will be used in Microsoft’s Xbox One and Sony’s PlayStation 4, which will ship later this year. AMD is projecting revenue to increase on a sequential basis by 22 percent, plus or minus 3 percent, in the third quarter. AMD this week reported revenue of $1.16 billion for the second quarter, falling from $1.41 billion recorded during the same quarter last year. The company reported a net loss of $65 million for the quarter. The company has already taken steps to cut costs, including laying off 15 percent of its workforce in October last year, and selling off a campus in Austin, Texas. It also broke off a relationship with GlobalFoundries as its sole chip manufacturers, though AMD paid a penalty for not meeting inventory requirements and breaching the contract. AMD last quarter formed a new custom-chip business unit to make processors for gaming consoles, embedded devices and other non-PC products. The company expects its custom chip business to account for 20 percent of revenue by the fourth fiscal quarter and Read said the company is on its way to achieving that goal. “They’ve made a lot of progress. In particular, they are not trying to play a game against Intel, which is 10 times their size. That’s a pretty good sign,” said Nathan Brookwood, principal analyst at Insight 64. Game consoles will be key in driving AMD’s return to profitability in the third quarter, said Dean McCarron, principal analyst at Mercury Research. “The game console business is something they can predict as it’s a contract,” McCarron said. 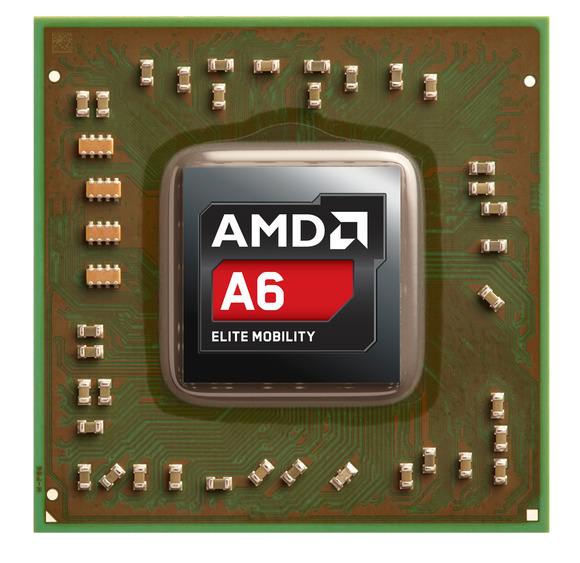 AMD will also realize revenue from the new Kabini PC chips it launched during the second quarter, McCarron said. Laptop and desktop shipments with the new chips will pick up in the back-to-school and the holiday seasons, McCarron said. But AMD’s business still relies on PCs and that market is volatile, McCarron said. Despite AMD’s confidence that the third quarter will be profitable, the fourth quarter is still up in the air, McCarron said. Kabini chips will be driving low-end PC shipments and while initial response to the processors has been excellent, a lot depends on the demand for laptops and desktops, Insight 64’s Brookwood said. “There’s no guarantee the buyers are going to go for those products,” Brookwood said. AMD’s turnaround started when Read was appointed the CEO in August 2011, after which he assembled a new management team. The company tore up the old chip road map and established a new product lineup. AMD also introduced a new chip development methodology that made it easier to bring third-party intellectual property to chip designs, and the concept is now at the center of custom chip development. “The team now is very different than before. The company is now focused on getting it right than in the past,” Brookwood said.